If you want to start an online business, you need a website! 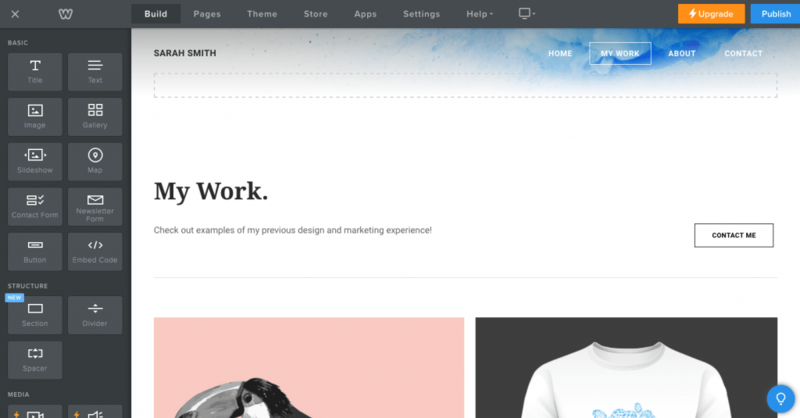 In this post, I’ll show you how to build a business website for FREE. While I strongly encourage you to invest in a self-hosted site with your own domain, I completely understand what it’s like to not be in a position to pay for that right now (I’ve been there!). So, I want you to know there are free options out there. 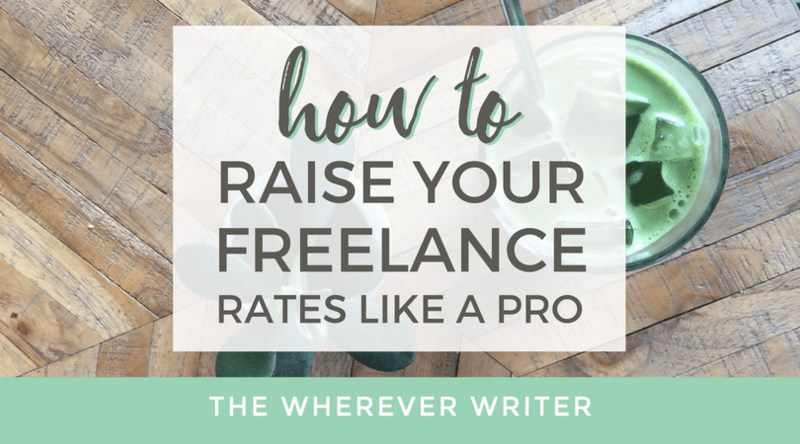 *This post contains affiliate links, which means I may receive a commission if you choose to purchase through a link I provide (at no extra cost to you!). Thank you for supporting this site! And guess what? I snagged clients that way—including my first $1K client! That just goes to show you DON’T need anything fancy, but you DO need something that showcases your services and your awesome portfolio. 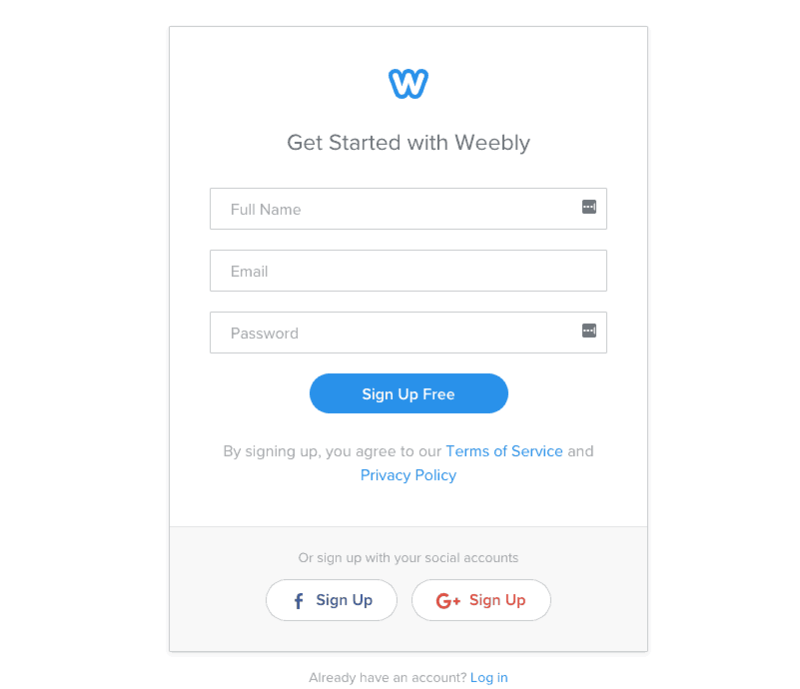 Step 1: Sign up for a free Weebly account. Just click here to sign up for your FREE account on Weebly.com. Then enter your name, email address, and a password. 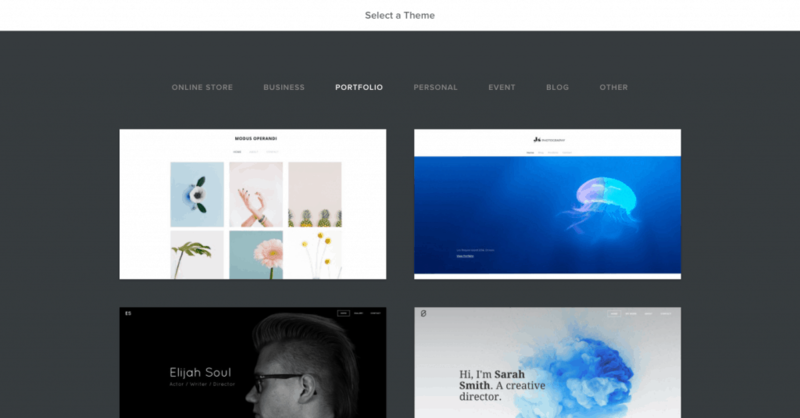 Step 2: Select “Business” or “Portfolio” as your category and choose a website theme. 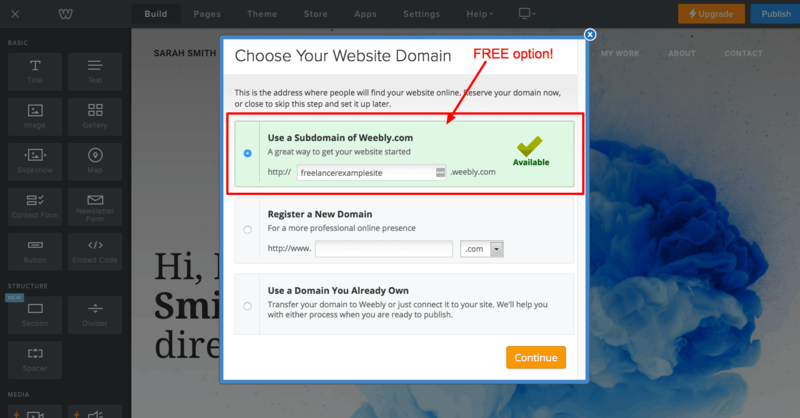 Step 4: Create a free Weebly subdomain. Step 5: Plug and chug your info, drag and drop sections. Step 6: Add your work samples (this is your portfolio). You can even use work from your jobs (as long as it’s okay with your employer!). For example, I included videos I made for my employer to show my freelance clients my videography skills. Woohoo! 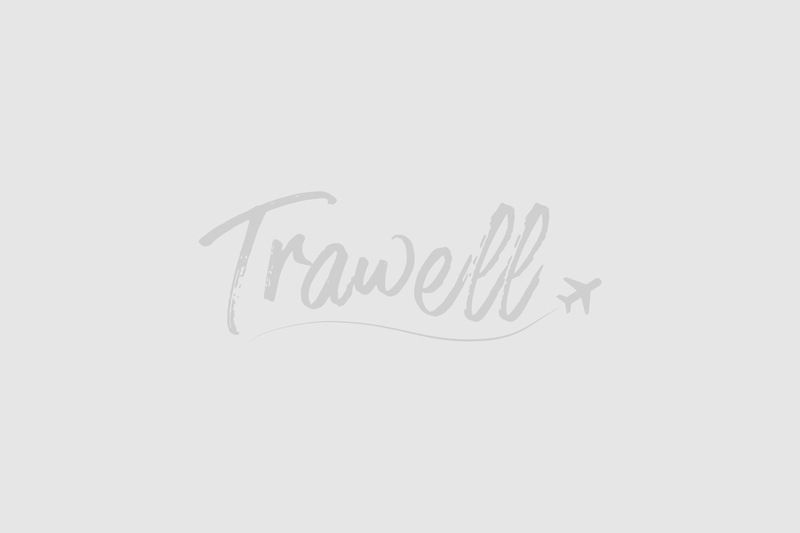 Your site is live and ready to be shown to potential clients! You can check out the freelancer example site I created. 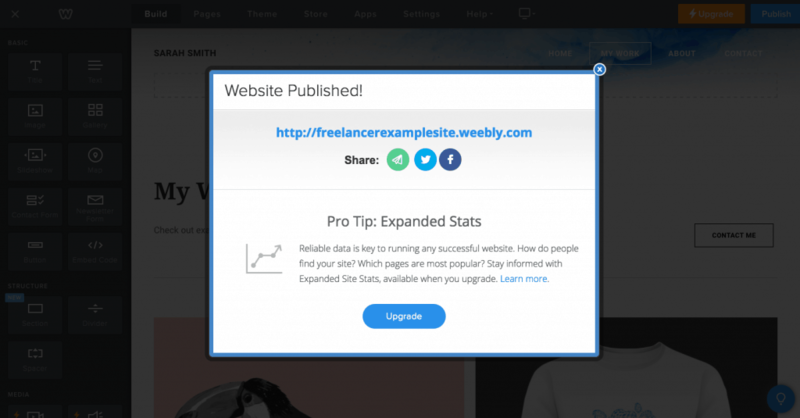 So now you know how to build a business website for free on Weebly! But what if you REALLY want to take your business seriously and project the most professional image possible? 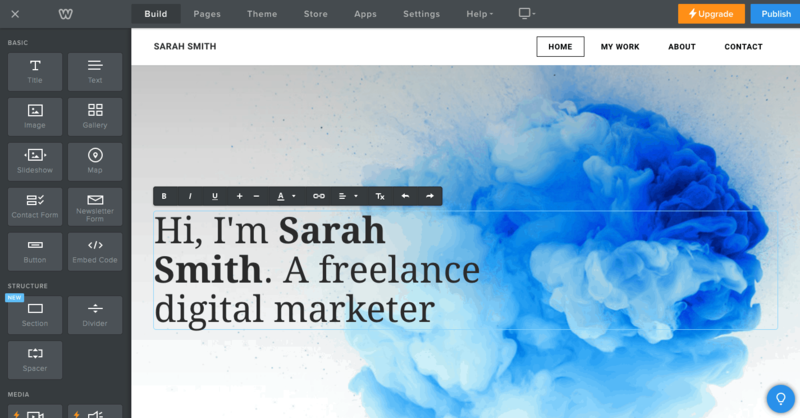 If you’re ready to really invest in your business, I highly recommend you go pro when you build your business website! Step 1: Sign up for web hosting and buy a domain. You need a web host to host your website, which means you get FULL ownership and control of your site. I personally use and highly recommend SiteGround. SiteGround will do the WordPress installation for you for free. How easy is that? I love SoloPine, and I use their Oleander theme for my travel blog, The Wherever Writer. 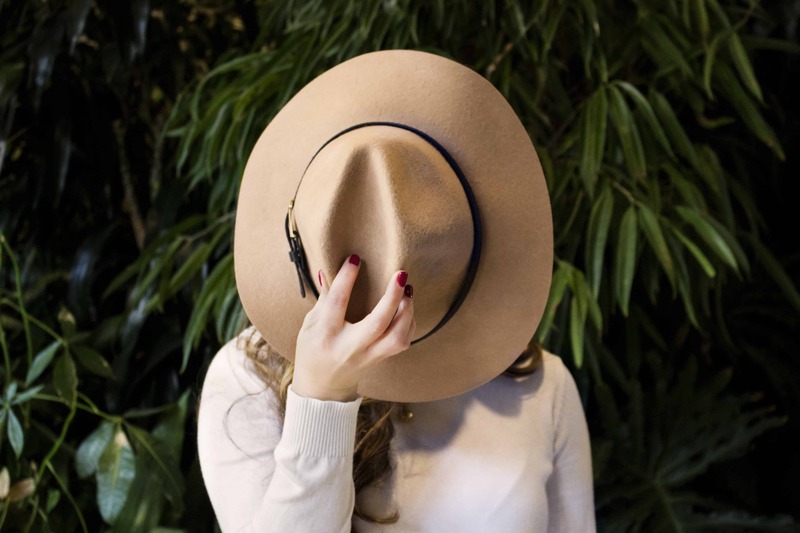 If you want more of a website than a blog, then I highly recommend Boss Lady (yes, it’s aimed at women, but guys can totally use it too). 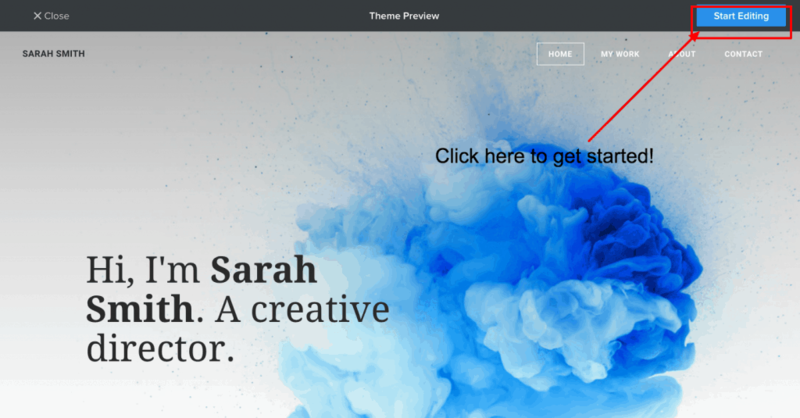 It’s what I would use if I were starting a new website, and I helped a friend set her site up on this very theme. About – This should share a little bit about you and what makes you qualified to do the job right. Be personal. Share a bit about your personal life too if you’re comfortable. Portfolio – This should highlight your best work and include any pertinent information about the results of the projects you completed. Services – This should outline the different services you sell, the price each service starts at (service prices can vary depending on project, but it’s nice to give potential clients an idea of what they can expect), and how to contact you to work with you. Bam! You’re all set. You now have a place to direct potential clients to when they’re interested in learning more about your services. 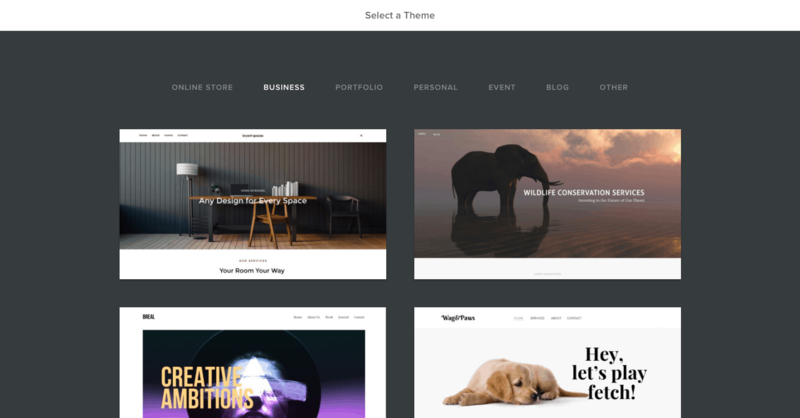 If you want detailed, step-by-step instructions, check out my blog post on how to start a self-hosted WordPress blog on SiteGround.